It is difficult to see how the Brexit saga will end without either a political convulsion in London or a destructive no-deal crash-out, with pointless economic damage and blame-games all round. The UK cabinet meets this Friday at Chequers, the prime minister's country residence in Buckinghamshire, to finalise a White Paper on the government's negotiating position, two years after the referendum on leaving the European Union. The Taoiseach remarked last Thursday that an exit plan should have been prepared before the decision was put to the UK electorate: the 52pc who voted Leave were not selecting a known destination. There is no guarantee anything coherent will emerge at the end of the week, since there is no immediate pressure to move beyond the have-cake-and-eat-it approach Theresa May first adopted in her speech to the Tory party conference as far back as October 2016. The formal position is unchanged. The UK government and the popular media want a hokey-cokey Brexit, one foot in for the bits of the EU arrangement that look attractive, the other foot out whenever it suits. In this they enjoy the support of the Labour opposition. The main stumbling block is not the Irish border but the framework for the UK's long-term trading relationship with the EU. The UK is seeking to depart both the single market and the customs union while somehow retaining frictionless trade with Europe, hence no hard borders (anywhere, not just with Ireland). 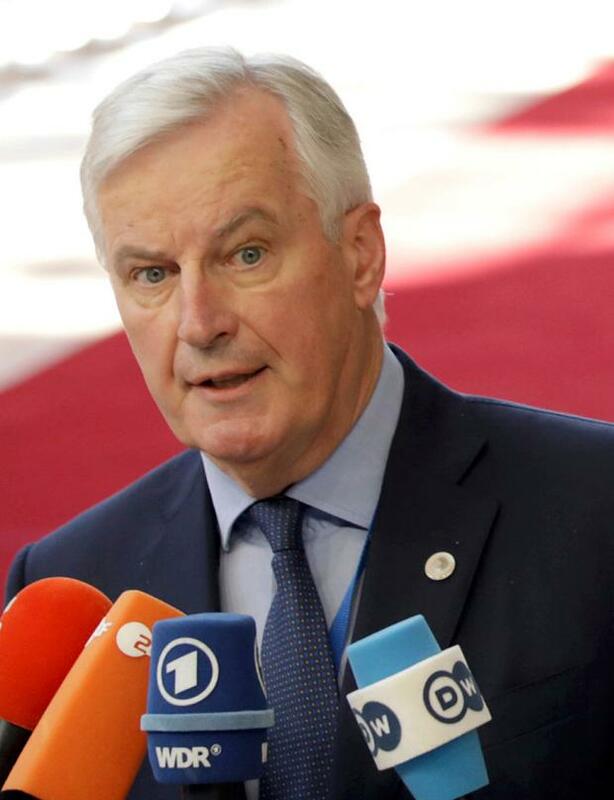 The ever-patient Michel Barnier has been explaining since his appointment as EU negotiator that the EU is a treaty-bound organisation and the hokey-cokey strategy is not politically, legally or operationally feasible. If it is dropped, the Irish border question will quickly become tractable. The polar choices are the so-called Norway option, pavilion membership in the EU through the single market, or a no-deal crash-out. Every option in between is complicated, including variants of the Canada-style free trade agreement, will take many years to conclude and will not (cannot) meet all of the UK's current expectations. A straight Canada deal (Canada Dry in the ever-expanding jargon) is easier than Canada-with-knobs-on, and the Brits want lots of knobs. The Chequers meeting will decide whether impossible expectations will have to be sacrificed now or can be sustained through the summer, with hard choices postponed until October or later. On past form, the can will get another hefty kick. But a Conservative Party split looks increasingly unavoidable, whenever it comes. 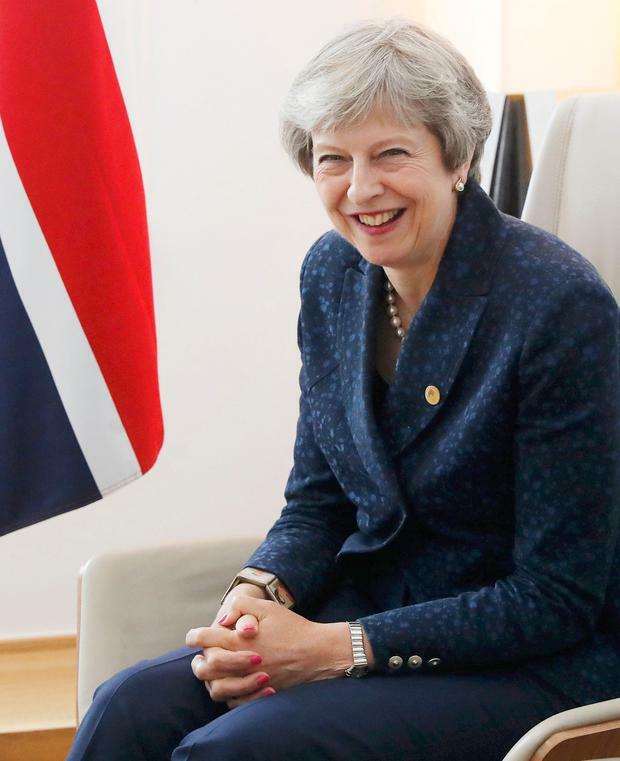 The Tory party shares with its centre-right counterparts around Europe a support base including those of a mildly nationalist or patriotic bent, along with the bulk of the business community. Threatened from the right by a populist insurgency from the UK Independence Party, a problem it shares with several other continental centre-right parties, the Tories have chosen to embrace the nationalist/patriotic mantle via the mechanism of Brexit, destroying Ukip as an electoral force in the process. The trouble is that Brexit is not popular with business, particularly any Brexit policy which courts a no-deal outcome. Thus the retrieval of right-populist support comes at the risk of alienating the hitherto quiescent business community. Like all large national parties, the Conservative Party is a broad church and it will fracture if it loses credibility with business. As the clock ticks down to Brexit day - just nine months to go - the business lobby groups have been finding their voice. Car and aerospace manufacturers, the freight transport operators, seaports and the airlines have been warning about the disaster that would follow a crash-out Brexit, which fearless Brexiteers imagine is a credible threat that should scare the EU-27. The willingness of leading Tory politicians to antagonise their business supporters in the UK rivals their enthusiasm for insulting their negotiating counterparts in Europe. Former Tory leader and cabinet minister Iain Duncan Smith has compared the British business worrywarts to those appeasing Hitler in the 1930s in an article in the Daily Mail. As it happens, the principal 1930s appeasers included his predecessor as Tory leader, the then Conservative prime minister Neville Chamberlain, encouraged by Smith's chosen journalistic vehicle, the Daily Mail. Foreign secretary Boris Johnson was rather more to the point: 'F*** business' he explained to Rudolf Huygelen, the Belgian ambassador to the UK. The essential Brexiteer negotiating strategy is that there is no need for any strategy at all. Britain can crash out without a withdrawal agreement or a transition period and move seamlessly to some non-existent free trading nirvana without a care in the world. In this magical salvation, the Europeans are terrified of 'no-deal, need us more than we need them', and will yield whatever terms the UK desires when faced with British fortitude. This is the position, it would appear, of about half of the UK cabinet which will gather in Chequers at the end of the week. Outside the single market and customs union, they maintain, the UK can negotiate rapid trade deals with the United States and others, operating under the aegis of the World Trade Organisation. The WTO is the guardian of global trade access rules. Any lost trade in Europe will be compensated elsewhere, say the Brexiteers, as the good ship Global Britain takes to the seven seas free at last from the imagined shackles of a dying continent. The timing for this great adventure is unfortunate. Donald Trump has just fired the opening shots in what could become the most damaging worldwide trade war of modern times. Tariffs, and threatened tariffs, are escalating in a process of retaliation between the USA, its neighbours Canada and Mexico, China and the European Union (including the UK for now). Trump was reported last Friday as having told his trade policy staff: "We always get f***** by them [the WTO]. I don't know why we're in it. The WTO is designed by the rest of the world to screw the United States." Fact check: the WTO, successor to the General Agreement on Tariffs and Trade established in Geneva in 1948, was an initiative, led by the United States, of the western powers which, along with the Soviet Union, won World War II. Donald is not keen either on the World Bank, the International Monetary Fund or the United Nations, the other pillars of the post-World War II global order promoted (and headquartered in Washington and New York) by none other than the US of A.
Trump has been acting consistently - the USA has declined to appoint members to WTO dispute settlement bodies which could cripple them, and indeed are designed to do so. The WTO, the centrepiece of the Brexiteer no-deal worldview, is under existential threat. Standalone Britain could be a lonely bearer of the free trade gospel if Trump's vision prevails. As for a generous bilateral trade deal with Trump's America - would you fancy a piranha for a pet? A hard Brexit is a far greater threat to the economy of the UK than it is to the economies of the EU-27. A Brexiteer Tory party may not survive the gratuitous sacrifice of the support and funding it enjoys from the business community which, ominously for Labour, is beginning to accumulate endorsements from the more alert trade unions.